It’s only now as the big ‘Go Live Day’ approaches that the marketing and awareness is making it impossible to focus on the Great Novel Process. 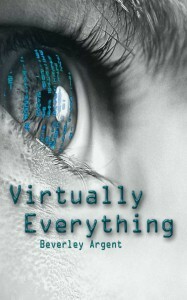 Virtually Everything. Short Story Available at Alfiedog.com Now. Virtually Everything is only a short story, it’s not as if it’s a book deal, but it’s one of those great big steps along the way. Alfiedog.com has an amazing collection of stories, novels, and even some anthologies for every genre you can imagine. It’s well worth a browse. The editor is selective in what appears, and the prices aren’t going to scare anyone away. Both of those things are important in a world where there’s not enough time or money to go round.